It was 6:00pm when we arrived at the van terminal at the Molo District of Iloilo City coming from a two hour trip from San Jose, Antique. 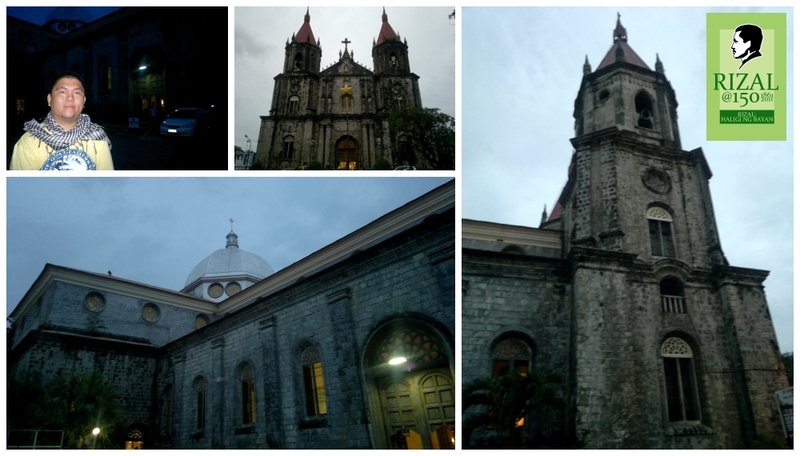 Before going back to the hotel, we passed by the famous Molo Church. Officially called St. Anne Parish, the original church was built in 1831 and the construction of Gothic-Renaissance-styled church began in 1869. Among the visitors of the church was Dr. Jose Rizal during his trip to Manila in 1896 after being exiled to Dapitan. The Molo Church is part of the Lakbay Jose Rizal @150 travel program, in celebration of the 150th birth anniversary of Dr. Jose Rizal.